George Azar is the Chairman of Gulf Sotheby’s International Realty. A highly sophisticated luxury property investor, George started his career as a Financial Consultant at Merrill Lynch Pierce Fenner & Smith (Middle East) where he expanded the company’s clientele and facilitated a range of prosperous transactions. In 1995, he joined the Swiss Bank Corporation as Agent - Middle East and excelled in servicing and advising clients on various investment strategies. In 1998, George was appointed as a General Manager by Banque SCS Alliance Groupe (Beirut) where he transformed their marketing and business development in the Middle East until 2001. In September of the same year, Union Bancaire Privée appointed him as Director of its Dubai Representative Office and, following a series of successful initiatives, as Managing Director in 2004. Two years later, George launched UBP Qatar LLC and led the company as its Chief Executive Officer. He has finally combined his savvy business strategy and extensive property knowledge by serving as Gulf Sotheby’s International Realty as Chairman since 2013. 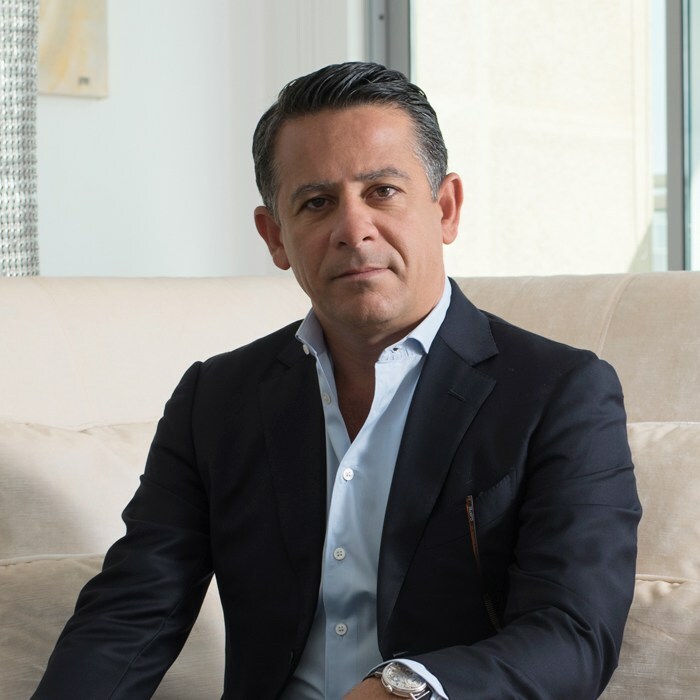 George understands the innate nuances and demands of high-net worth individuals as well as the responsibility of upholding the brand reputation of Gulf Sotheby’s International Realty. He believes in dedication and professionalism at all levels and strives to empower his team to reach new heights of excellence. His unique leadership perspective has led to his well-earned success as one of the top-notch entrepreneurs who has played a key role in elevating the status of Dubai on a global level. George holds an MBA in International Business Administration and Finance, as well as a Bachelor’s Degree in Economics from the American College of Switzerland.